During a sudden and unexpected heart attack, time is a crucial factor. For every minute that passes the chance of survival decreases by 10%. Therefore more defibrillators should be made available 24/7 to reduce the the time to treatment. It is therefore recommended that the defibrillators are placed outdoors. It is important to make sure that the defibrillator is always ready for use. However we know from experience that there is a risk of people forgetting to keep an eye on the defibrillator – especially when it’s hanging outside. If the defibrillator isn’t ready to be used it can have fatal consequences. 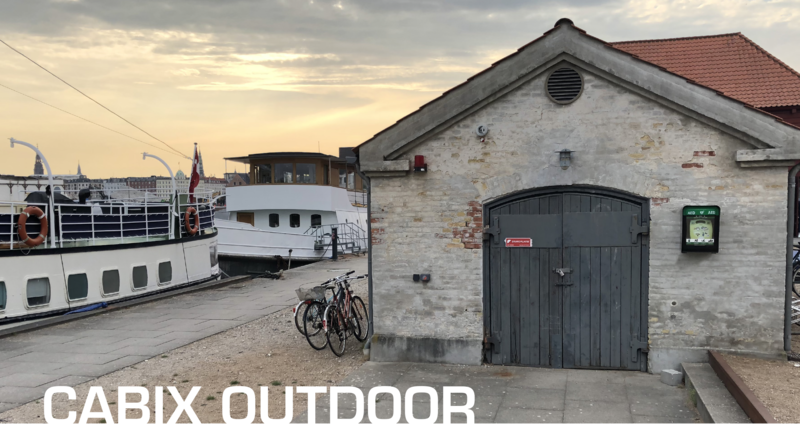 Cabix Outdoor is developed with technology that makes sure that the defibrillator is always stored under the recommended conditions and at the same time monitors whether the defibrillator is placed in the cabinet and is ready for use. 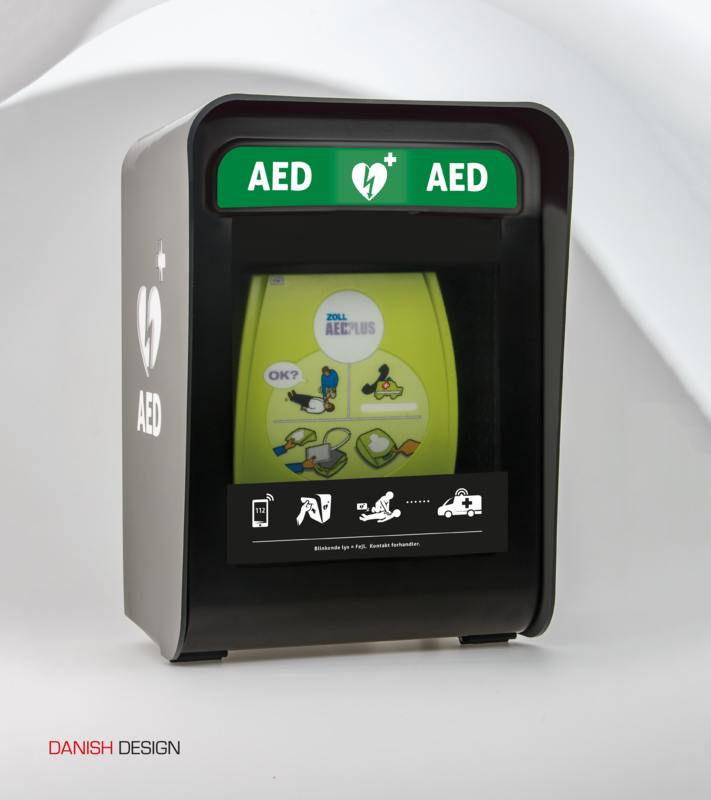 If a defect occurs in the defibrillator, the cabinet will notify you. Cabix Outdor is illuminated from all sides. 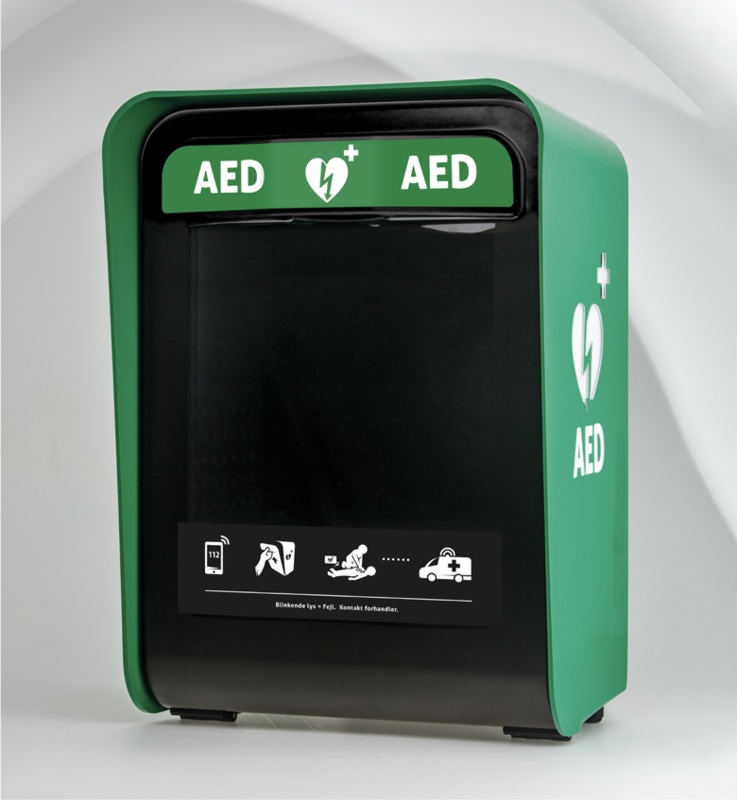 This increased visibility helps to raise people’s awareness of the position of the defibrillator cabinet – and minimize the time spent searching for it, which can be crucial during a cardiac arrest. Cabix is more that just storage, Cabix provides security and saves lives. Integrated signage and luminous AED logos provides increased visibility that helps to raise people’s awareness of the cabinets position – and minimize the time spent searching for it. Danish designed cabinet in a functional and modern design to fit in with different environments. The cabinet is produced in Denmark. Intelligent controlled monitoring technology delivers both acoustic and visual alarm if there is a fault in the cabinet, defects in the defibrillator or if the defibrillator is removed from the cabinet. 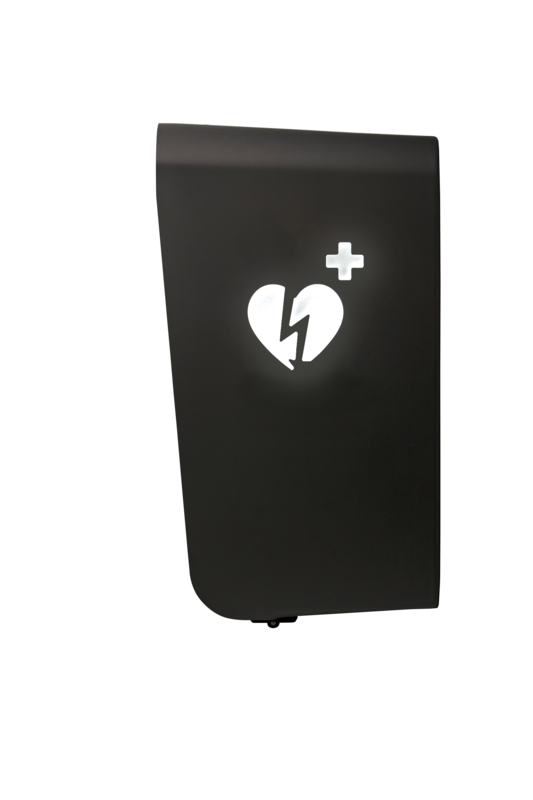 Built-in climate system removes moisture and keeps the defibrillator stored with the recommended temperatures so that it is always ready for use. Unik og innovativ isolering kombineret med strømbesparende teknologi sikrer lave driftsomkostninger og minimerer belastningen på miljøet. When the cabinet is opened, a loud tone sounds drawing the attention of its surroundings and makes them aware of the crisis taking place.